A delicious, healthy snack that even the kids will love! This is wonderful as is, or change it up to make it your own. 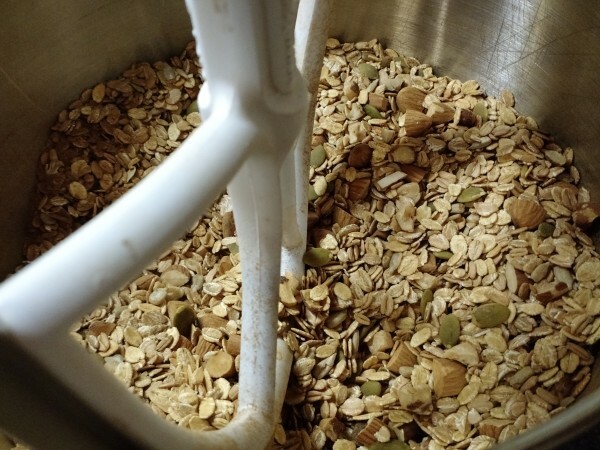 Add dried fruit, chocolate chips in place of the cacao nibs, or raw sunflower seeds or pumpkin seeds. Pistachios taste especially good in this also! This is the ideal snack if you are following an alkalizing diet! Preheat oven to 350. Line 2 baking sheets with parchment paper. 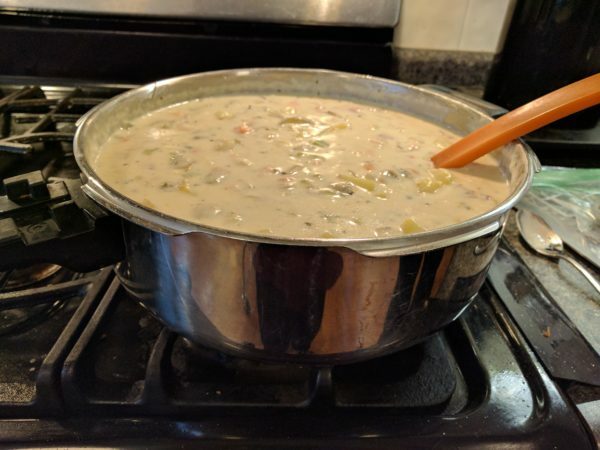 Combine dry ingredients in a large bowl and set aside. Combine liquid ingredients in a smaller bowl. 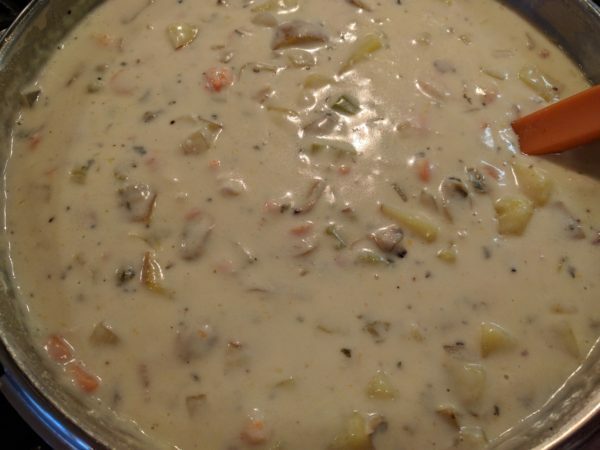 Mix wet and dry ingredients together thoroughly until evenly mixed. Spread on cookie sheets lined with parchment paper. Bake for 25 minutes, stirring halfway through. Remove from oven to cool. Break into clusters when completely cool. Store in an airtight container when cool. Lots of veggies, topped with cheese and eggs of your choice. 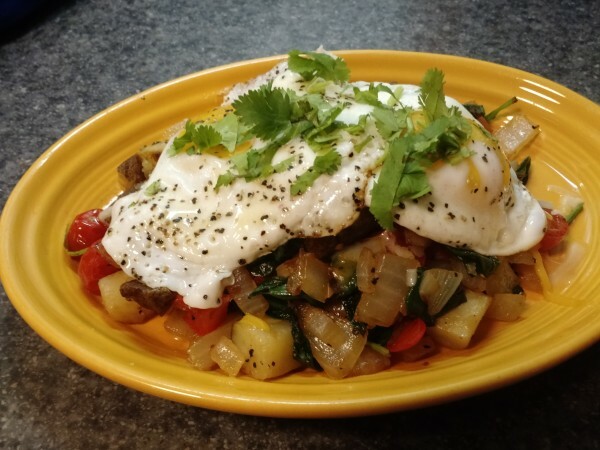 This can also be used as a quick, healthy lunch: http://www.cherylsrecipes.net/recipe/stir-fried-veggies/ although I don’t usually use the eggs and cheese when I eat it as a stir fry. 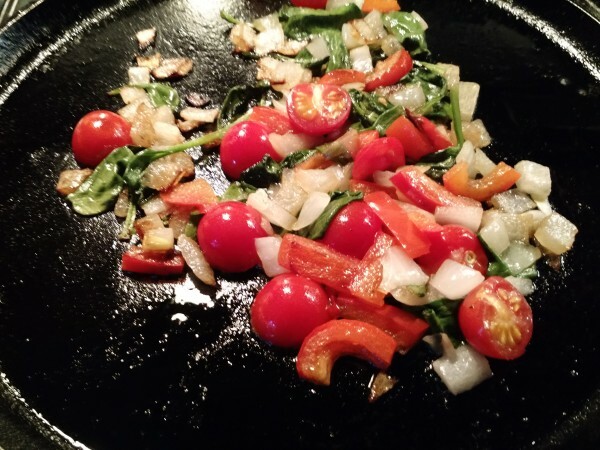 In a skillet over medium-medium high heat, add avocado oil. Add onions and potatoes. Add sweet pepper. 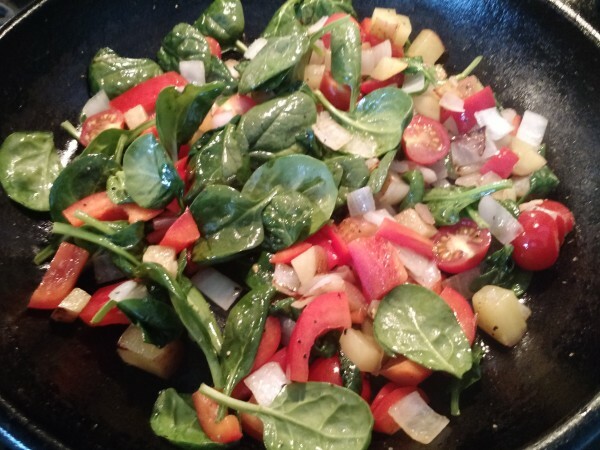 When potatoes are mostly cooked through, add spinach and tomatoes to skillet and cook to wilt spinach leaves. Season with salt and pepper as desired. Put into serving bowl and top with cheese and eggs. This is chock full of nutrition! 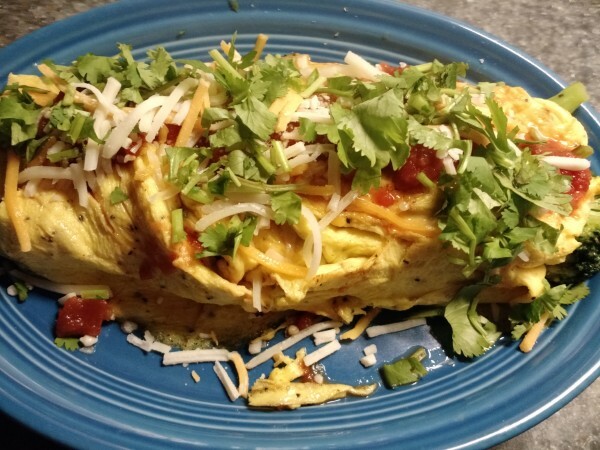 Lots of yummy vegetables wrapped in eggs, and topped with salsa, cheese and cilantro! It’s a great way to start your day! Of course, as always, you can swap out any ingredients you like, or leave out things you don’t like. Heat small cast iron skillet over medium-medium high heat. Add 1/2 T. avocado oil. Saute onions and spinach until spinach is starting to wilt, stirring often. Add peppers and tomatoes. Cook for a few minutes. Stir until peppers and tomatoes are cooked as desired. Remove items from pan to a bowl. Reduce heat to medium. Beat eggs with cream. Add salt and pepper to taste. Add another 1/2 T. avocado oil to hot skillet. Add eggs to skillet. 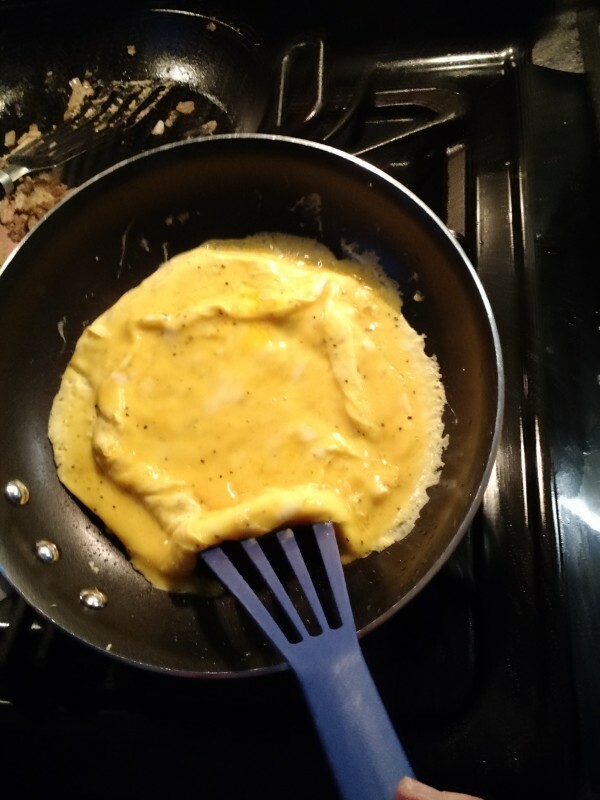 As eggs begin to set up around the edges, tilt the pan and lift that portion of the egg with spatula, so that the uncooked egg runs down underneath the cooked egg. Continue moving around the skillet in this way until egg is done. 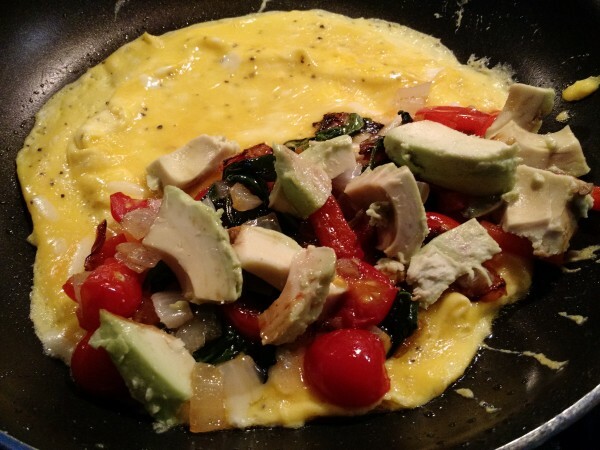 Add veggies to one side of the omelette. Tilt skillet and guide gently onto a serving plate. 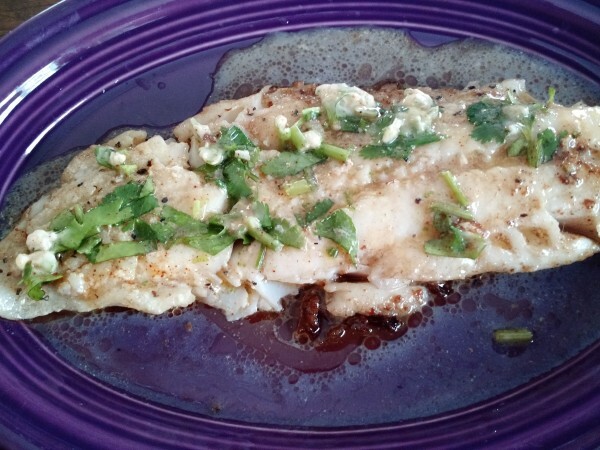 Top with salsa, shredded cheese and cilantro, or your choice of toppings.